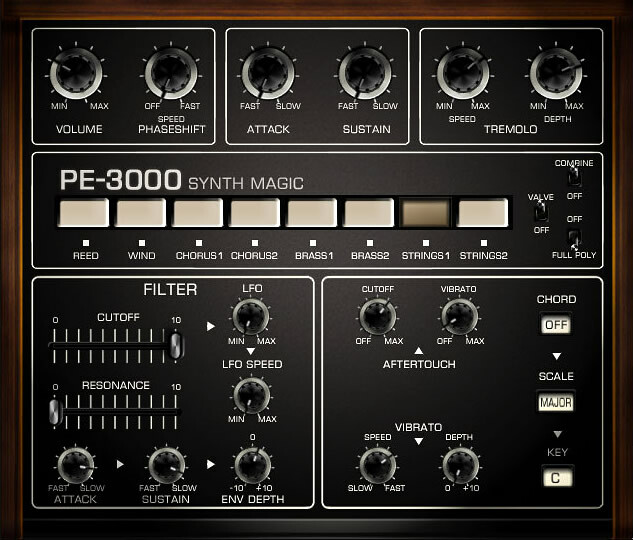 Synth Magic presents PE-3000 for Kontakt 5.7.3 or higher (full retail version of Kontakt is required). New MK II version is now available. 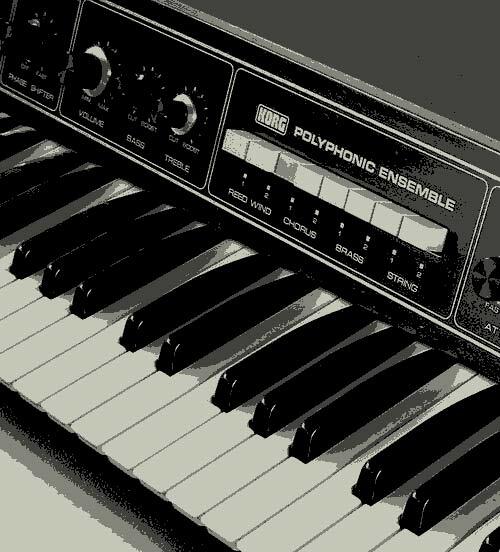 A recreation of the 70's Korg PE-2000 analogue ensemble synth. 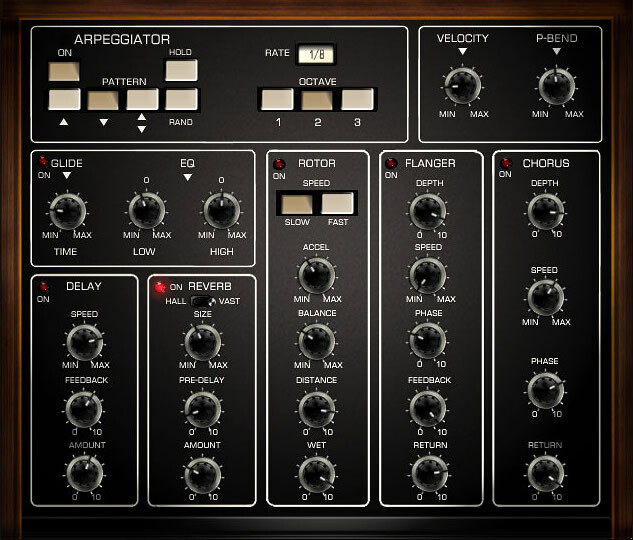 All of the preset tones from this rare synth have been sampled twice – the first set of samples have been sampled dry and the 2nd set have been sampled through a vintage valve pre-amp. Each set of samples can easily be selected by a two way selector switch on the main user interface. Easily recreate the rich, vibrant analogue tones of this classic polysynth, and then go way beyond what the original can do by using all the extra features that have been added. The extra features include filter cutoff and resonance, filter envelope, chord generators, an arpeggiator, vibrato, tremolo, aftertouch to cutoff and tremolo, plus a whole range of effects including convolution reverbs. The sound from the PE-2000 (and this PE-3000 Kontakt instrument) reminds us of the Clockwork Orange soundtrack by Wendy Carlos, and the early works of Jean Michel Jarre, Vangelis etc. PE-3000 can create beautiful ethereal choirs, haunting strings, lush analogue pads, sound effects, drifting arpeggios and lots lots more. Give your productions a dreamy, ethereal quality with this great new Kontakt instrument. Pro sound designer, Ingo Weidner has modified the original Strings 2 samples using a variety of filters and effects to create a new bonus batch of samples. The samples sound very lush and are great for making super smooth pads and strings. A further 80 new presets has also been added taking the existing preset count to over 200.